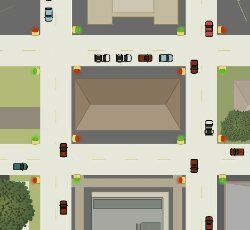 Manage traffic at busy intersections in a gridlocked city near you. When cars have to wait too long for the lights they get mad and their frustration rises until it boils over and you lose. 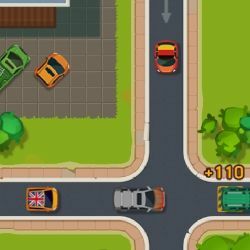 Try make cars wait as little as possible. On later stages you get a signal programmer to control the timing of multiple signals. 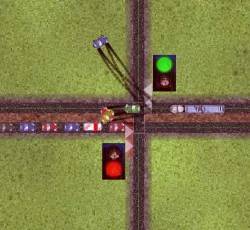 Use the MOUSE and LEFT CLICK on an intersection to change the traffic signal. Click here to send Gridlock Buster to your friends using your default email program.